Bind your dear ones closest to your heart on Raksha Bandhan by giving them this Beautiful Rudraksha Rakhi for Celebration combined with the enigmatic touch of a free Rakhi, Roli Tilak and Chawal. 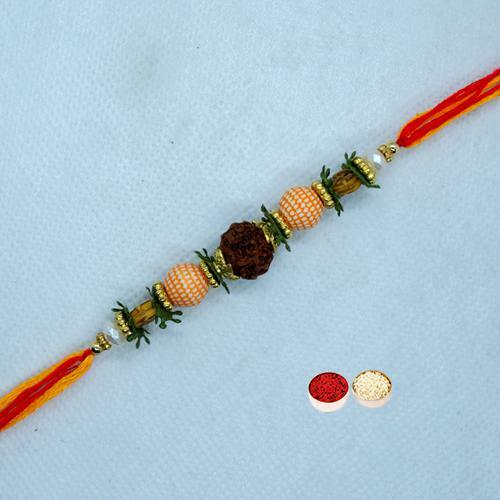 This is a Nicely Gift Wrapped Rudraksha Rakhi for your brother. There may be diversification in the Design.